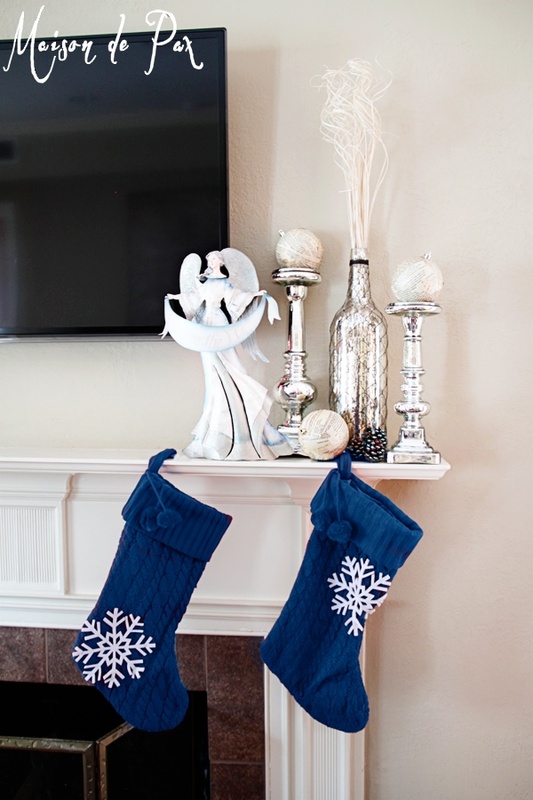 It’s been such a fun challenge to incorporate blue into my Christmas decor this year. 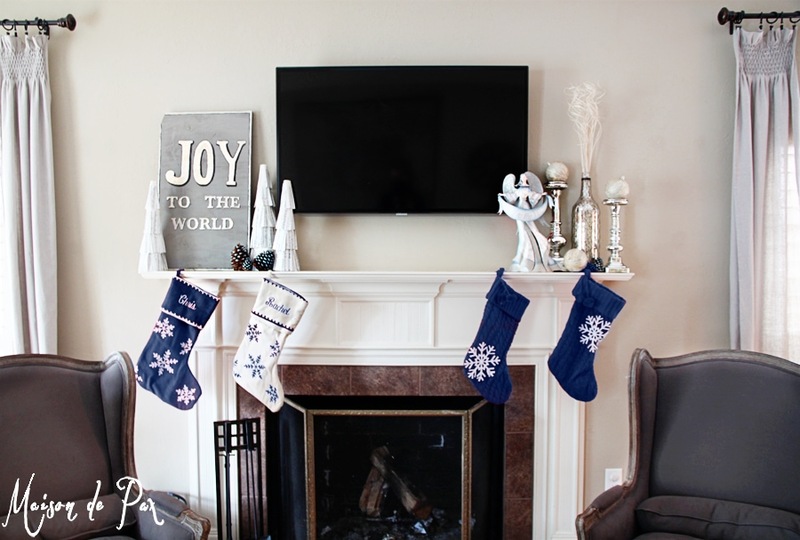 I made some rustic yet glitzy pinecones and a subtle blue wreath that matches my living room. 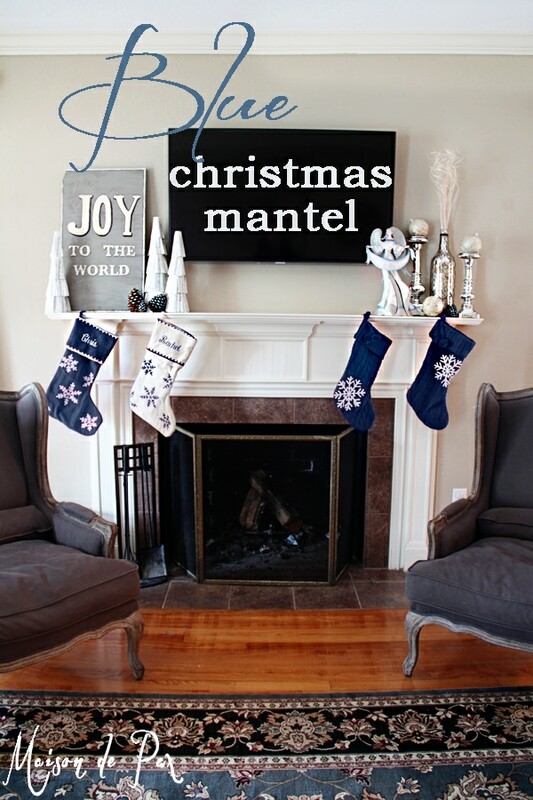 For the mantel, I wanted to continue my subtle blue touches. I like incorporating the blue since it’s a color I already have throughout my living room, but I didn’t want it to overwhelm the decor. 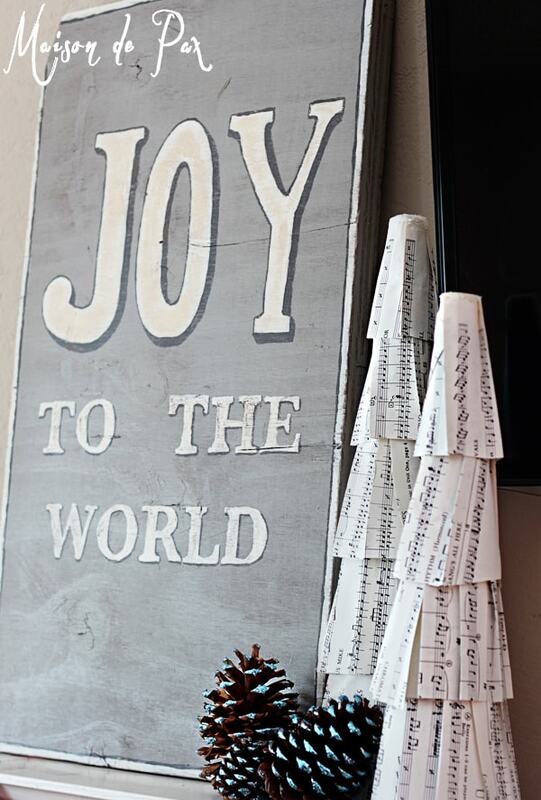 So I grounded one side with a neutral, rustic homemade sign, accented by my sheet music Christmas trees and just a few of my glitter blue pinecones. 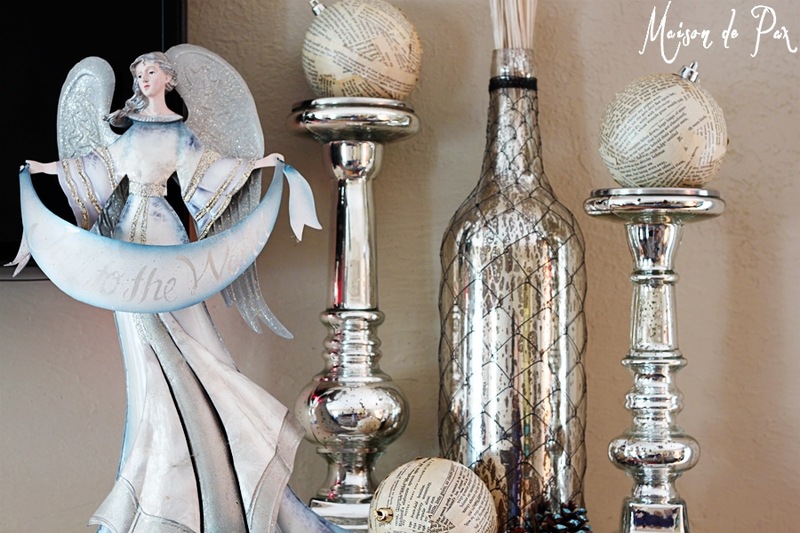 On the other side, I used a combination of mercury glass, my book page ornaments, and my Hobby Lobby angel which already boasted some perfect blue accents. I love the juxtaposition of the sparkly glitter and vintage sheet music. As well as the shiny mercury glass and old book pages. The contrast of glitzy and rustic is my favorite. Now I do have one confession: I don’t have blue stockings. They’re actually red, but I just couldn’t resist toying in Photoshop… and I think the official ruling is that blue stockings are a gorgeous and classy option! 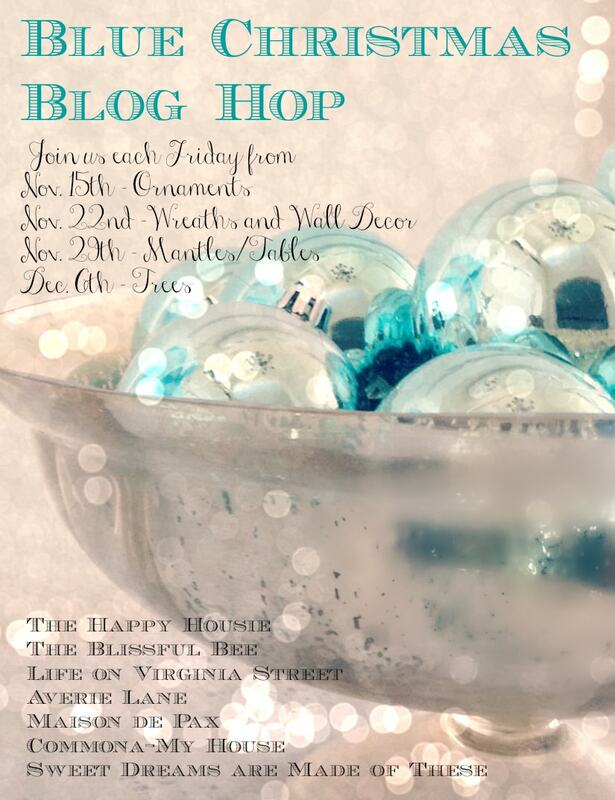 Don’t forget to visit the other gals in the Blue Christmas Blog Hop for more great ideas! Wow, Rachel!!! I love these ideas! What a gorgeous mantle. Pinning and can’t wait to make your book page ornaments and music trees!!! And so smart to toy with photoshop to see what things would look like!!! Love it! Thank you so much, Amy! And thank you for inspiring and coordinating this blog hop – it has been such a fun challenge!! Wow – amazing photoshop skills!! 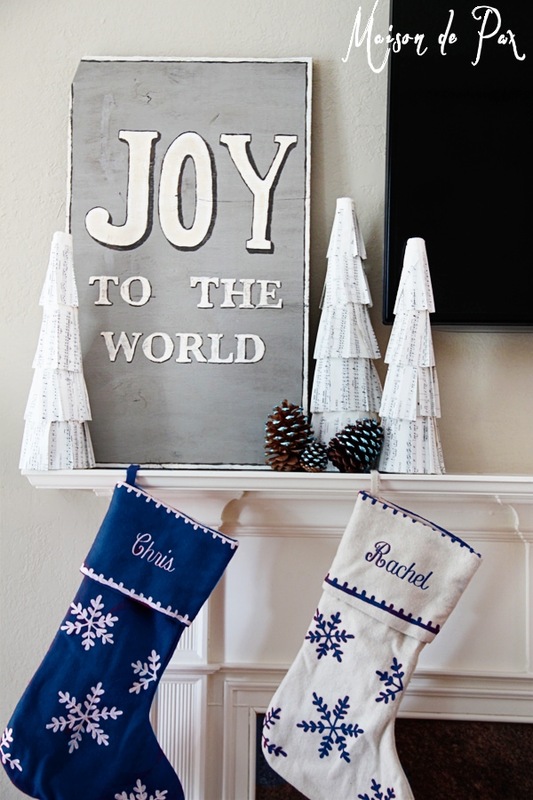 I love the stockings in blue but I am sure they are stunning in red too:) Love your Joy to the World sign!! I love your mercury glass and rustic sign! You’ve done a fabulous job of pulling all the different elements together. 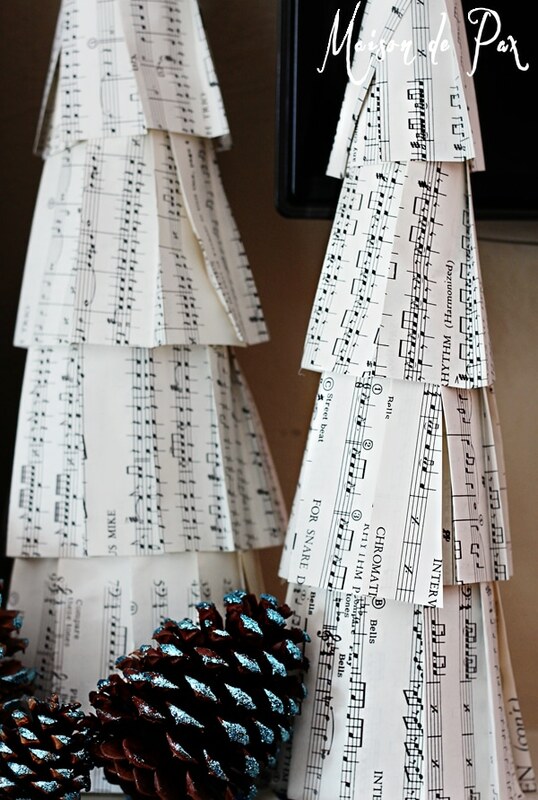 🙂 Did you make your sheet music trees? Love them!! 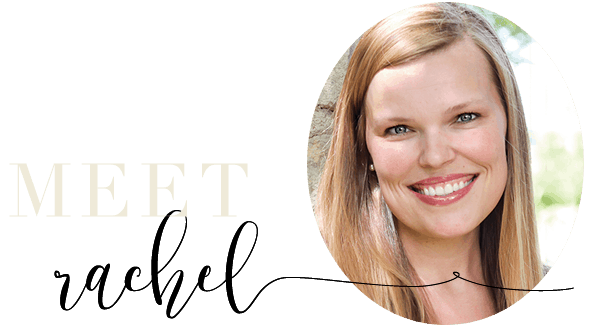 I’m always amazing by your sense of style, Rachel, but now I’m impressed with your Photoshop skills, too! 😉 I love all of the contrasting yet complementary elements here…beautiful, as always!